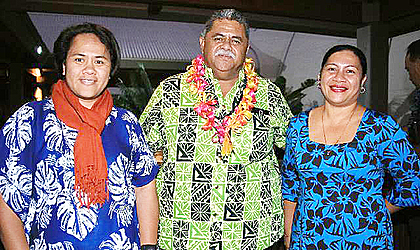 The Minister of Agriculture and Fisheries, La’aulialemalietoa Leuatea Polata’ivao, is in Port Vila, Vanuatu this week. The Minister is leading the Samoan delegation to the 13th Ministerial Meeting of the Pacific Islands Forum Fisheries Agency (F.F.A.). The meeting was opened by the Prime Minister of Vanuatu, Charlot Salwai Tabimasmas, on Monday. “The Pacific Ocean has and will continue to play an important role in the future state of play and of international negotiations, particularly for its fish and more specifically, albeit highly migratory, last-remaining healthy tuna stocks,” said Mr. Tabimasmas in his opening address. “Tuna and tuna fisheries continue to play an important role in the economy of F.F.A. member countries. Revenue received from Tuna fisheries contribute significantly to the national budget of our Governments; provide employment opportunities and food security for our growing populations. According to the Prime Minister, the Pacific ocean is home to the world’s richest tuna resource and yet the Pacific people are not getting maximum return from it. “We must continue to work hard and find innovative ways to ensure we derive maximum economic benefit in the long term in a manner that is economically sound and environmentally sustainable. This is because tuna is an important part of the marine environment. “Your responsibility in managing fisheries resources and its developments in a vast Pacific ocean is a challenging one. You have a range of important agenda items to cover in the next two days. “I note that amongst the agenda items in front of you, is the implementation of the Future of Fisheries Roadmap on tuna fisheries and the call for domestic development of tuna fishing industry as endorsed by Forum Leaders last year. Director General of F.F.A., James Movick, said the meeting will be primarily about reaffirmation. Mr. Movick highlighted the importance of ministerial oversight and decision-making in the regional fisheries sector. “Your agenda reflects important regional strategic issues and initiatives that your secretariat and officials agree are worthy of or require your ministerial attention and decision-making,” he said. 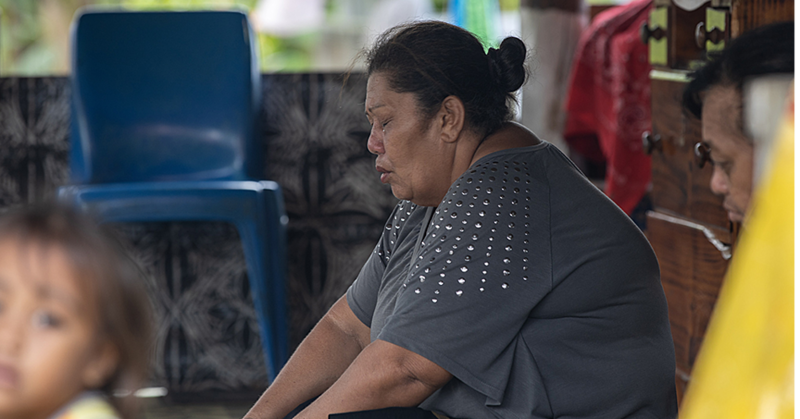 “These include a new regional agenda for Gender equity in all aspects of the fisheries sector and consideration of a major offer of assistance to the region by Australia for enhanced civilian aerial surveillance capability under the control of F.F.A. to supplement your national surveillance capability from the Pacific patrol boat program. The Director General also spoke about the issue of regional unity. “In the meeting in the next two days you will be briefed on the status of the Tokelau Arrangements for the management of the southern albacore longline fishery, and before the end of the year you may very well be called upon to make difficult decisions that may require reduction of national opportunities in order to preserve the opportunity of all. “For those of you who are new to the F.F.C. Ministerial forum, you will by now have the clear sense that your role is not merely one of rubber-stamping decisions made by your officials. From time to time you will be called upon to set directions and make decisions with significant financial and other implications that are beyond the mandate of your officials. “To that end we in the secretariat will do our utmost to provide you with clear advice and to ensure that you have the opportunity to be as fully informed as you feel necessary in order to make those decisions. I have confidence that you Ministers and regional Leaders will not be found wanting in discharging your duties to make tough collective decisions for the good of the resource and of the development needs."